'Bodies' exhibition will continue until after Sukkot holiday, and close 4 days ahead of schedule. The High Court has granted permission to 'Bodies', an exhibition that features real human corpses, to continue until after the Sukkot holiday. The court ruled that the exhibit must then close four days earlier than had been scheduled. A motion filed against the exhibit in Tel Aviv's Hatachana compound said that it violates human dignity. The 200 mummified bodies and body parts in the show were bought from the Chinese government without permission from the deceased or their relatives. The exhibit has been met by protests and condemnation – mostly from the religious part of the Israeli populace. Jewish law emphasizes the respect to be afforded a corpse, from the commandment to bury the dead as soon as possible, including recovering body parts in case of violent death, to the prohibition of leaving a hanged criminal's body on display. The High Court ruled Sunday that the exhibit must indeed shut down and added that lawmakers should draw up legislation on matters such as these. The date set for the closure is October 9, after the Sukkot holiday. The reason for not shutting down the exhibit immediately is that doing so would cause financial harm to the company behind the show and to ticket purchasers, as Sukkot is vacation time in Israel. Dozens of members of human rights group B'tsalmo protested in front of the exhibit Saturday evening. They demanded to know where the bodies were taken from and holding signs that said "Have you murdered and also profited?" - a Biblical question that Elijah asked King Ahab after he murdered a landowner and then took his vineyard - and "A Chinese man is created in G-d's image, too." 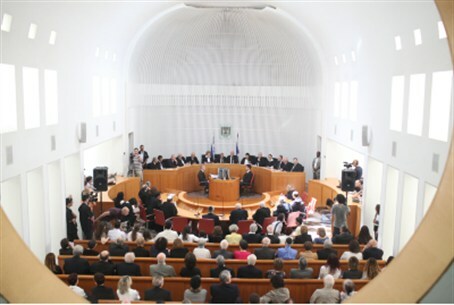 The ZAKA emergency rescue organization, dedicated to making sure that Jewish victims of violent death receive burial - often risking their lives to gather body parts - stated ironically, after the court ruling, that on the one hand, it is happy that such exhibits will no longer be allowed in Israel. "On the other hand, the decision reminds us of the man who built a sukkah without a permit, and the court gave him eight days to tear it down." Sukkot, the holiday on which a Jew is expected to build himself a sukkah, or temporary dwelling, lasts eight days.